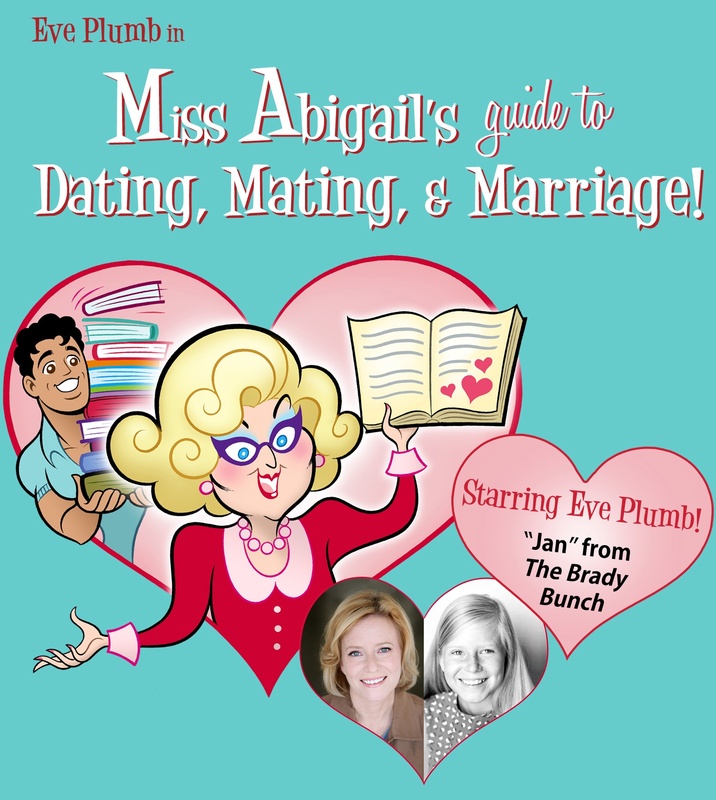 Review: “Miss Abigail’s Guide To Dating, Mating, and Marriage”…I Still Do! Tonight I had the opportunity to see “Miss Abigail’s Guide To Dating, Mating, and Marriage” for a second time, but the first time since it officially opened. 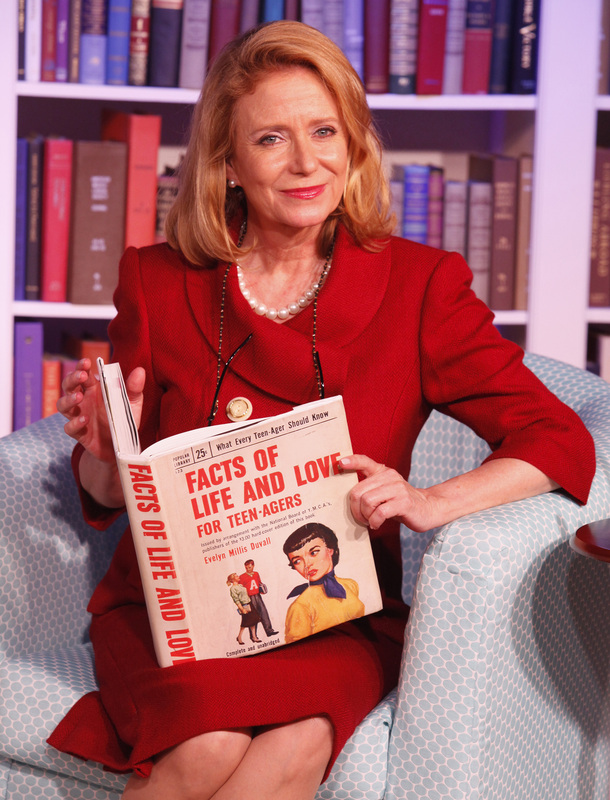 Written by Ken Davenport and Sarah Saltzberg and starring Eve Plumb (“Jan Brady” from “The Brady Bunch, “Fudge’s Mother” on “Fudge”) as “Miss Abigail” and Manuel Herrera (“Legally Blond” and “West Side Story” on Broadway) as her ever so faithful assistant “Paco,” “Miss Abigail’s Guide To Dating, Mating, and Marriage” takes the audience on an interactive ride through dating, mating, and marriage tips, rituals, and techniques. “Miss Abigail” demonstrates her techniques on how to flirt and attract the person you are interested in…whether it’s showing them your “This seat is available” look or seductively licking the “milk mustache” off of your lips or telling them their shoulders look tense and giving them a little massage, “Miss Abigail’s” advice my seem old fashioned, but is still quite relevant today (I have tried several of her techniques and have had great success). As “Miss Abigail” and “Paco” say in the show, “Sometimes you have to go backwards to go forwards.” There to assist “Miss Abigail’s” every need is her ever faithful assistant “Paco” who not only helps demonstrates these techniques, but tries to use a few of them himself! Always wanting to make sure “Miss Abigail” looks her best, “Paco” does whatever it takes to make that happen, even if that means being the bunt of the joke himself! The chemistry between Eve and Manuel has really grown much stronger since I saw the show this past fall. Not only do they play off of the audience, but they really play off of each other really well, sometimes leaving the audience wondering, “Was that part of the show?” This fun and very entertaining show is so worth it. I have now left this show smiling, feel better than before I went in, and always being reminded that love is possible…I just have to try different techniques along the way! When I leave a show smiling, feeling lighter than when I went in, and able to forget my stresses of the day, I know the show did it’s job. That is exactly how I felt after seeing the new Off-Broadway comedy “Miss Abigail’s Guide To Dating, Mating, and Marriage” written by Ken Davenport and upcoming “Adaumbelle’s Quest” participant Sarah Saltzberg. 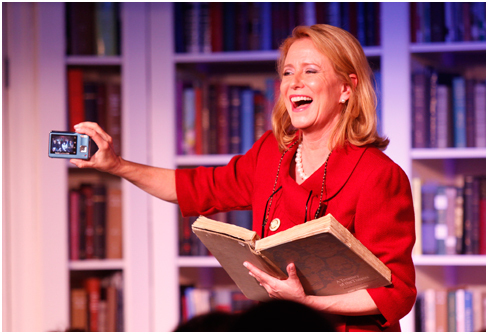 “Miss Abigail’s Guide To Dating, Mating, and Marriage” stars Eve Plumb as “Miss Abigail” and fellow “Adaumbelle’s Quest” participant Manuel Herrera as her sidekick “Paco” who take you through a hilarious 90 minutes of dating, mating, and marriage tips. A funny book, audience interaction, Eve Plumb’s energy and great comedic timing by Manuel Herrera make this show very enjoyable. Some of the “Miss Abigail’s” dating tips are “Show your best ‘This seat is available look'” or “Lick your lips seductively as you wipe that whip cream off your upper lip.” These funny, yet usable tips, along with good chemistry between Eve and Manuel kept the audience laughing. This is an evening of pure, light-hearted fun that left me smiling and happy. 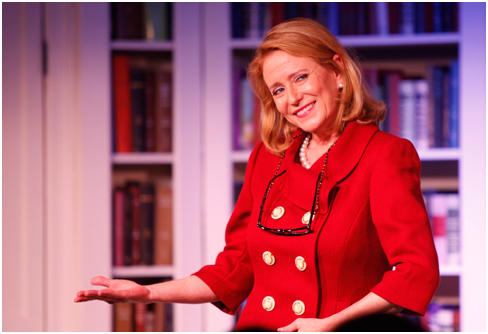 Give yourself and friend/partner an evening of light-hearted fun by going to see “Miss Abigail’s Guide to Dating, Mating, and Marriage” at Sofia’s Downstairs Theater (221 West 46th Street, between Broadway & 8th Ave in NYC).